graduating with that MD or DO and finally seeing patients as a doctor. You’ve dreamed of nothing else for years! But in order to get there you have to study. You want to study… you’re committed to studying…but somehow the studying just doesn’t….flow? and you find yourself constantly distracted. You finally sit and study for hours and… don’t remember what you covered. Did you really absorb 3 hours worth of information? but those only took a few seconds! How are you ever going to get through everything for the MCAT at this rate?? Procrastination and lack of motivation are too common. It’s not that you don’t want to reach your goals, it’s just that… something gets in the way. Then there’s the sheer boredom of the material. but your brain simply won’t allow you to focus on stereochemistry or acid/base calculations. You love medicine but you somehow can’t bring yourself to get through this information. And the more you study, the less productive you feel. You try to force yourself to cram for hours, only to feel more and more frustrated in the process! How do you get over procrastination and increase productivity in your day-to-day schedule? This is a fun almost ‘gamified’ approach to productivity that was introduced to me by quite a few students before I finally caved and gave it a shot. Even for someone with ADHD like myself (who’s easily bored by tedious or annoying tasks). 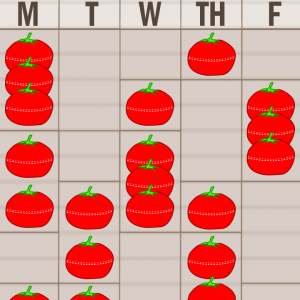 The Pomodoro (or tomato) Technique was invented in the 80’s by Francesco Cirillo. 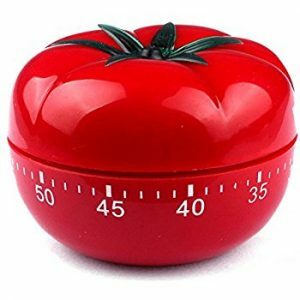 The technique was named after a tomato-shaped kitchen timer. It is used to mark ‘productivity’ blocks, or in our case study blocks. The basis behind this technique is a timed series of short but intense focus blocks of productivity followed by mandatory breaks. as well as when creating tutorials, cheat sheets, and writing study tips articles like this one. 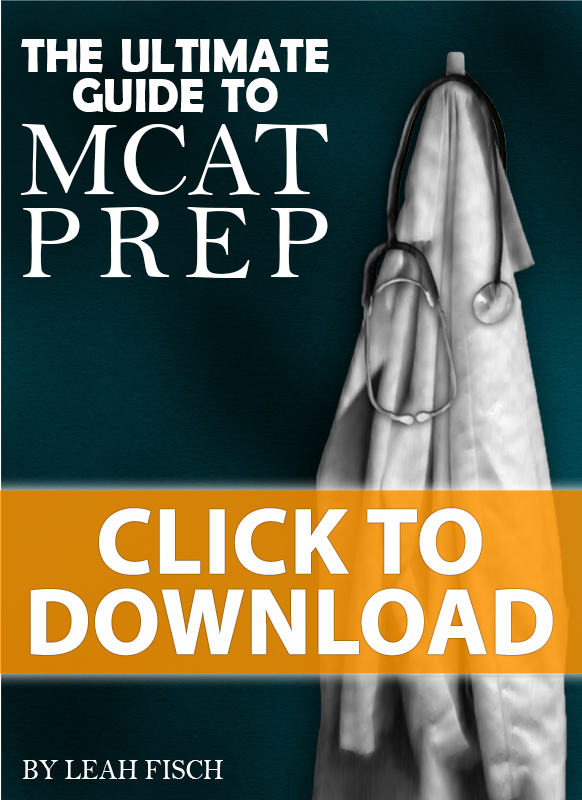 Use this together with the MCAT study blocks technique I teach in Step 4 of the Ultimate MCAT Prep Guide. Decide on a task: know what you need to accomplish before you set the timer. Use restroom, get water/snacks, anything that may cause you to want to get up once you begin. Prepare your distraction list in case something attempts to pull your attention away from studying. Put your phone on airplane mode or off. Set blocking apps (see below) on your computer or turn if off. Set the timer to 25 minutes (MCAT revised options below). Delve into your task with 100% focus for your designated interval. When timer goes off: TAKE A MANDATORY BREAK! Rinse and repeat until your full study block is over. with a 5 minute break after the first 3 and a 15-20 minute break after the fourth. As a premed student preparing for the MCAT 25 minutes is not nearly enough for MCAT style endurance. 45-90 minutes of studying before taking breaks. you certainly can’t take breaks as frequently. The MCAT will require 90 minutes of solid focus for CARS and 95 minutes each for Chem/Phys, Bio/Biochem, and Psych/Soc. So for MCAT students, I recommend a revised version of this method in conjunction with the ‘building MCAT endurance’ technique. If you’re just starting out, then you likely don’t have your endurance built up. 25 minutes is not a lot but you can allow for that in the beginning. In fact, if you’re not sure that your endurance will last longer than 25 minutes after 2 or 3 blocks then yes, definitely begin with shorter blocks. It’s easy to be motivated in the morning and skip your breaks. Perhaps you can go for a full hour or more. But then you’re burned out. By the second hour of studying you’re struggling, even with a break. because none of it is making any sense. So set the 25 minute timer and stick to it like your future depends on it! Take those mandatory breaks and start building good habits. Once you’ve done it solid for a week, evaluate! You’ll be at 45 minutes in just one month!! With a VERY SOLID study habit built up in the process might I point out. And in another month, you’ll be at 65 minutes! and take that break anyway! Important: Make it a moving break, not so much a social media goof-off break. but my students love it for various reasons. You tend to procrastinate when you have an overwhelmingly large daunting task to complete. Especially when you have no idea how long it will take. This technique gives you a clear end time! Can you sense how much pressure will be relieved with just a little change? I especially love checking things off. Feeling like I accomplished something. I got something important done. Even if it’s not the entire task. When studying for the MCAT, it’s hard to see the end. How do you know when you’re actually ‘done’ studying? So where are the little rewards to keep you going?? With this technique, you have the timer/block rewards even if you don’t finish the material! I’m addicted to ‘instant information’ from my phone. Question comes up, look it up on google, idea pops up, create a pin board, look up photos on Instagram. If my phone is dead I feel empty and unable to do these things! But when I’m in the focused zone, I don’t check my phone. but there will be guilt-free browsing time very soon. So while I’m not distracted by social media while working, I do know that I’ll be checking back on whatever I need to shortly! or a few intense Pomodoros with guilt-free browsing after? I’d argue for the latter AND you get to browse guilt-free! A note of caution here: I like to set a timer during the breaks as well. Way too often do I find myself looking at the clock and realizing I just spent an hour browsing Instagram. How you fill your study blocks and what you focus on will vary depending on your current MCAT prep phase. 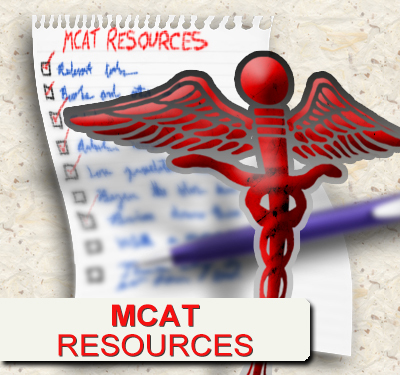 I cover detailed study block breakdown examples in the MCAT Strategy Bootcamp. Here are some sample methods you can use to work with your current phase. If you’re just starting out or starting over with fresh habits, it can be tough to get into it. Even if your endurance is up past 25 minutes it may be hard to simply get started for the day. 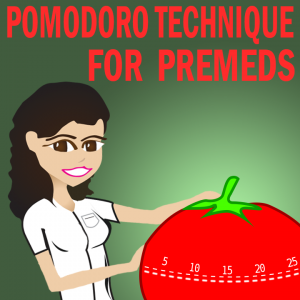 Consider this: a 25 minute Pomodoro BEFORE you start your intense studying. Prepare a short active writing list with a pathway or 10 terms/concepts. Grab your SHORT notes from last block on this topic. Set the timer and focus on reviewing the above material. You’ve already studied it, therefore its easier to get into. Resume your next Pomodoro with whatever is on your to-do list. You can cut this block short and do just 10 minutes of active writing or just 15 minutes of review if your goal is simply to ‘trick your mind to enjoy starting’. then switch to something more exciting. This reduces your probability of postponing your studying while ensuring you made at least some progress on the topic you really dread and despise. Phase 1 is all about the content. This includes watching videos, reading the chapter, working on practice questions, and review. I like to separate different study types into their own segments. For example, put chapter reading on its own timer. Same with practice questions and review. If a 1 hour video covers 3 subtopics, let the end of that subtopic be your stopping point. It can be 20 minutes or 35, but decide in advance. Keep in mind, a 20 minute video can take 30-40 minutes to review when you include pausing to process or take notes, and rewinding to rewatch difficult segments. but you haven’t completely abandoned the content review. You’re still filling in holes and knowledge gaps. Set a separate timer for passages, break, then passage review -same with content review. At this point you’re just weeks out from your exam. You should have your endurance up to 100 minutes to ensure focus on the 90-95 minute sections. Your timers do not all have to be for 100 minutes each. Just 1-2 days per week. For the remaining time you may find yourself more focused with shorter blocks. Going about 50/10 or 60/10 with about an hour of studying and a 10 minute break. I know I’ve mentioned this above but it bears repeating. You cannot study and be distracted at the same time! Sure, that text only takes 5 seconds to read and 15 seconds to reply. But that 20 second distraction just pulled your mind right out of the zone and killed your productivity, not to mention the start-up time it takes to re-focus (also see the distraction list). And then there’s the fact that you’re thinking about your phone: in the back of your mind you’re aware of the fact that a notification may come in, and you’re waiting for it. Don’t hurt your productivity. Turn off your cell phone or put it on airplane mode. set a blocker before you begin your timer! I speak from firsthand experience when I tell you that a 3 hour block with ‘minor’ interruptions is SO much less effective than a 3 hour set of 50/10. AND you feel 100% guilt-free browsing ‘distractions’ on your breaks. Of course, I’d also argue to keep your phone off till the very end of your block if possible, but one step at a time. If this sounds like something that can save you time, go ahead and try it on your very next study block. What’s the absolute worst that can happen?? You definitely will not be any worse off than how you’ve been studying up to this point. And if you are even 5% MORE effective then it was totally worth it, right? Have you tried this technique yet? If not, try it and let me know how it worked in the comments below. Do you use any other techniques to help you focus on your MCAT studies?